The beautiful Tuolumne River runs through these alpine meadows in the high country of Yosemite National Park. This area is probably one of my most favorite places in the WORLD (but I don’t get out of California much). Tuolumne Meadows is located on the Eastern side of the Sierra Nevadas on the Tioga Pass Road (Hwy 120), 25 miles from Lee Vining and Mono Lake.The campground, with full amenities, is open July-September. With an elevation 8,619 feet, snow comes early to this part of the Sierra’s. Park Rangers are on hand for interpretive programs for people of all ages. 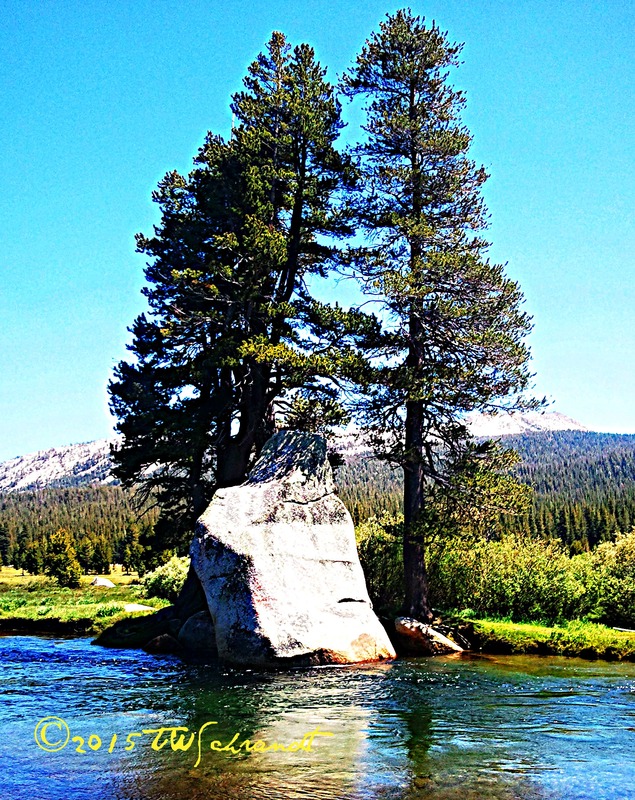 If you don’t like to camp, you can reserve a room at the Tuolumne Meadows Lodge. Here is another view of the meadows. This part of the river looks more like a drying-up creek. Join Ed’s Sunday Stills each week for his photo challenges! I will never forget our trip to Yellowstone Park. Indeed, it is God’s Country. Thank you Terri for sharing at Anything Goes! 🙂 And I have not been to those places! I’m envious. That IS one of the most wonderful places anywhere! Used to go to Yosemite, Kings Canyon and Sequoia as a kid, too. Haven’t been in many years. We have 3 different rivers where I live and although they aren’t especially “charming” they are fun to go to sometimes. I think I love going to the Animas River at Berg Park the best. It is a very nice walking path along side the river and I love feeding the ducks and geese.